The fact of the matter is, while text message donations could be incredibly powerful, if used correctly. It’s that “if” that is causing the tension. In the coming months, those who are able to successfully incorporate a well-designed text message donation system into their campaign with thrive, while those who fail to do so will have a tough time just surviving. The TOP SMS Marketing Company for Political Campaigns is Tatango. If you run a political campaign, you need to at least consider them since they are on top of this market. Text Message Fundraising – How Does it Work? Currently, the maximum donation that can be sent via text is $50. What does this mean? Well, for some it is good news, for others it is not so good. The good news is that text message fundraising gives an advantage to those who are able to reach a large audience. The power of SMS fundraising is the same as the power of sites such as www.Kickstarter.com that leverage the power of a multitude of small donors rather than a handful of wealthy ones. For those whose campaigns have relied on wealthy donors, text message fundraising offers stiff competition. Most likely, these groups will have to reorient their strategies and spend more time focusing on the common man and woman in order to make the most of their text fundraising efforts. Another factor leading to the strange mix of fear and excitement that political campaign managers feel when they consider text message fundraising is how dynamic it is. An SMS keyword for mobile donations can be incorporated into any and all existing marketing and media. Television commercials, print media, radio, etc. All of these mediums can now act in a dual role – their traditional one, and as host to a text message fundraising invitation. Because of the increased flow of information and currency, text message marketing has the ability to make every race move at breakneck speed. Take a look at our Tatango Review to learn more about sms marketing. Now that donors can send their money wherever they are (since wherever they are is inevitably also the location of their cell phone) mobile fundraising is always powerful. No matter the time of day or the location of voters, they can always pull out their phones and donate. Combine that with the proven effectiveness of text message and mobile marketing in other arenas of fundraising and commercial marketing, and text message fundraising for political campaigns promises to be a deciding factor in any political battle for the foreseeable future. There are quite a few of Mobile Marketing Firms in Las Vegas Nevada, however before you decide on a mobile marketing strategy, Sign up for our FREE mobile marketing training below. 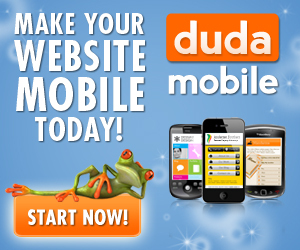 There is no doubt that mobile marketing is the new future of marketing. As a political campaign in Nevada, you must start to learn more about how these new mobile marketing tools will help your organization. If you political campaign in Nevada, take advantage of our FREE VEGAS MOBILE MARKETING TRAINING VIDEOS by Signing up Below! Politicians have made sure that they can raise money with text message marketing. They even passed a new law just for political fundraising with sms marketing that makes it easy for them to basically bulk blast almost anyone for political gain.